Weaknesses in the pawn structure, such as isolated, doubled or backward pawns and holes, once created, are usually permanent. Care must therefore be taken to avoid them (but there are exceptions — for instance see Boleslavsky hole below). In the absence of these structural weaknesses, it is not possible to classify a pawn formation as good or bad — much depends on the positions of the pieces. However, the pawn formation does determine the overall strategies of the players to a large extent, even if arising from unrelated openings. Pawn formations symmetrical about a vertical line (such as the e5 Chain and the d5 Chain) may appear similar, but they tend to have entirely different characteristics because of the propensity of the kings to castle on the kingside. Pawn structures often transpose into one another, such as the Isolani into the Hanging Pawns and vice versa. Such transpositions must be considered carefully and often mark shifts in game strategy. In his 1995 book, Andrew Soltis classified the major pawn formations into 17 categories, discussed below. In 2015, the book Chess Structures, by Mauricio Flores Rios further studied the subject, subdividing pawn structures into the 28 most important. It is to be noted that for a formation to fall into a particular category, it need not have a pawn position identical to the corresponding diagram, but only close enough that the character of the game and the major themes are unchanged. It is typically the center pawns whose position influences the nature of the game the most. Structures with mutually attacking pawns are said to have tension. They are ordinarily unstable and tend to transpose into a stable formation with a pawn push or exchange. Play often revolves around making the transposition happen under favorable circumstances. For instance, in the Queen's Gambit Declined, Black waits until White develops the king's bishop to make the d5xc4 capture, transposing to the Slav formation (see below). Openings: Primary: Caro–Kann. Other: French, Scandinavian, QGD. Themes for White: Outpost on e5, kingside space advantage, d4-d5 break, possibility of queenside majority in the endgame (typically after the exchange of White's d pawn for Black's c pawn). Themes for Black: Weakness of the d4 pawn, c6-c5 and e6-e5 breaks. The latter break is usually preferable, but harder for Black to achieve. Openings: Primary: Slav. Other: Catalan, Grunfeld, Colle System (with colors reversed). Themes for White: Pressure on the c file, weakness of Black's c pawn (either after Black's b7-b5 or after d4-d5xc6 in response to e6-e5), the d4-d5 break. Themes for Black: e6-e5 and c6-c5 breaks. Openings: Primary: Sicilian (Najdorf, Richter-Rauzer and Sozin variations), Sicilian Scheveningen, and several other Sicilian variations. Character: Complex, dynamic, sharp middlegame. Themes for White: Pressure on the d file, space advantage, e4-e5 break (often prepared with f2-f4), f2-f4-f5 push, g2-g4-g5 blitz (see Keres attack). Themes for Black: Pressure on the c file, minority attack (and counterplay in general) on the queenside, pressure on White's pawn on e4 or e5, d6-d5 break, e6-e5 transposing into the Boleslavsky hole (see below). It is often unwise for White to exchange a piece on c6 allowing the recapture bxc6, because the phalanx of Black's center pawns becomes very strong. Openings: Primary: Sicilian Dragon. Other: English Opening (with colours reversed). 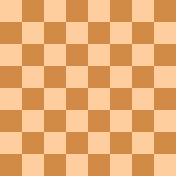 Character: Either a razor sharp middlegame with opposite side castling or a moderately sharp game with same side castling. The Sicilian Dragon requires a high level of opening memorization to play properly. This is especially true when it comes to the Yugoslav Attack in which White plays the moves Be3, f3, Qd2 and 0-0-0. Other variations are: The Classical Dragon where White plays Be2 and 0-0; The Tal attack is defined by Bc4 and 0-0, and the Fianchetto Defense where White plays g3, Bg2 and 0-0. These less common variations lead to less tactical positions, with a potentially technical endgame. Themes for White: Outpost on d5, kingside attack (either f2-f4-f5 with kingside castling or h2-h4-h5 with queenside castling), weakness of Black's queenside minority (of pawns) in the endgame. Themes for Black: Pressure on the long diagonal, queenside counterplay, exploiting White's often overextended kingside pawns in the endgame. Themes for White: Nd4-c2-e3, Fianchettoing one or both Bishops, the Maróczy hop (Nc3-d5 followed by e4xd5 with terrific pressure on the e-file), kingside attack, c4-c5 and e4-e5 breaks. Themes for Black: b7-b5 break, f7-f5 break (especially with a fianchettoed King bishop), d6-d5 break (prepared with e7-e6). The Maróczy bind, named after Géza Maróczy, has a fearsome reputation. Chess masters once believed that allowing the bind was a mistake as Black always gave White a significant advantage. Indeed, if Black does not quickly make a pawn break, his minor pieces will suffocate, with minor pieces lacking any squares to move to and possibly becoming cornered or pressed into a weak defense. Conversely, the formation takes time to set up and limits the activity of White's light-squared bishop, which can buy Black some breathing room to accomplish this break. Openings: Primary: English Opening (symmetrical), Sicilian. The Hedgehog is a formation similar to the Maróczy bind, and shares the strategic ideas with that formation. Openings: Primary: Sicilian Najdorf, Classical, Sveshnikov, Kalashnikov. Other: Sicilian O'Kelly (2... a6). Themes for White: taking control the d5 hole, exploiting the backward d6 pawn, f2-f4 break. Themes for Black: d6-d5 break, queenside minority attack, the c4 square. It is a paradoxical idea that Black can strive for equality by voluntarily creating a hole on d5. The entire game revolves around control of the d5 square. Black must play very carefully or White will place a knight on d5 and obtain a commanding positional advantage. Black almost always equalizes, and might even obtain a slight edge, if the d6-d5 break can be made. Black has two options for his queen bishop: on e6 and on b7 (after a7-a6 and b7-b5). Unusually for an open formation, bishops become inferior to knights because of the overarching importance of d5: White will often exchange Bg5xf6, and Black usually prefers to give up his queen bishop rather than a knight in exchange for a white knight if it gets to d5. When white castles queenside, Black often delays castling because his king is quite safe in the center. Openings: Primary: King's Indian. Other: Benoni, Ruy Lopez (Spanish). Character: Closed game with opposite side activity. Themes for White: Massive queenside space advantage, c2-c4-c5 break (optionally prepared with b2-b4), prophylaxis with g2-g4 (after f2-f3), f2-f4 break. Themes for Black: kingside attack, f7-f5 break, g7-g5-g4 break (after f2-f3), c7-c6 break, prophylaxis with c6-c5 or c7-c5 transposing to a Full Benoni formation. The chain arises from a variety of openings but most commonly in the heavily analyzed King's Indian Classical variation. The theme is a race for a breakthrough on opposite flanks – Black must try to whip up a kingside attack before White's heavy pieces penetrate with devastating effect on the c-file. The position was thought to strongly favour White until a seminal game (Taimanov-Najdorf 1953) where Black introduced the maneuver Rf8-f7, Bg7-f8, Rf7-g7. When the chain arises in the Ruy Lopez, play is much slower with tempo being of little value and featuring piece maneuvering by both sides, Black focusing on the c7-c6 break and White often trying to play on the kingside with the f2-f4 break. Openings: Primary: French. Other: Nimzowitsch Defence. Character: Closed/semi-open but sharp game. Themes for White: kingside mating attack, f2-f4-f5 break. Themes for Black: Exchanging the hemmed-in QB, c7-c5 and f7-f6 breaks. Due to White's kingside space advantage and development advantage, Black must generate counterplay or be mated. Novices often lose to the sparkling Greek gift sacrifice. Attacking the head of the pawn chain with f7-f6 is seen as frequently as attacking its base, because it is harder for white to defend the head of the chain than in the d5 chain. In response to exf6, Black accepts a backward e6 pawn in exchange for freeing his position (the b8-h2 diagonal and the semi-open f-file) and the possibility of a further e6-e5 break. If White exchanges with d4xc5 it is called the Wedge formation. White gets an outpost on d4 and the possibility of exploiting the dark squares while Black gets an overextended e5 pawn to work on. Openings: Primary: King's Indian, Old Indian (colors reversed), Ruy Lopez. Other: Ruy Lopez (colors reversed). The notation in the rest of this section refers to the colors reversed version. Themes for White: d6 weakness, c4-c5 push, a3-f8 diagonal, queenside pawn storm. Themes for Black: d4 weakness, a1-h8 diagonal, f4 square, kingside attack, trading pieces for a superior endgame. The Rauzer formation is named after Rauzer who introduced it in the Ruy Lopez. It can also rarely occur in the Ruy Lopez with colors reversed. It is considered to give Black excellent chances because d6 is much less of a hole than White's d4. If the black king's bishop is fianchettoed it is common to see it undeveloped to f8 to control the vital c5 and d6 squares, or remove White's dark-squared bishop, the guardian of the hole. The Rauzer formation is often misjudged by beginners. In the position on the left, White appears to have a development lead while Black's position appears to be riddled with holes. In reality, it is Black who stands clearly better, because White has no real way to improve his position while Black can improve by exploiting the d4 square (see complete game on Java (Applet) board). Openings: Primary: King's Indian. Other: English, Pirc, Ruy Lopez. Character: Semi-open game, slow buildup. Occurs after exchange of pawns on d4. Name given by Hans Kmoch. Themes for White: exploitation of d6 weakness, e4-e5 and c4-c5 breaks, minority attack with b2-b4-b5. Themes for Black: attacking the e4 and c4 pawns, d6-d5 and f7-f5 breaks, queenside play with a7-a5-a4. The wall is yet another structure that leaves Black with a d-pawn weakness, but prevents White from taking control of the center and gives Black active piece play and an opportunity to play on either side of the board. Openings: Primary: Queen's Gambit. Other: French. Themes for White: d4-d5 break, sacrifice of the isolani, outpost on e5, kingside attack. Themes for Black: Blockading the isolani, trading pieces for a favorable endgame. Bogolyubov – Rosenthal, St. Petersburg 1914. White achieved a blockade with 11. Nb5! Magerramov – Kasparov, Baku 1977. Black obtained a devastating attack with 17...d4! The isolani leads to lively play revolving around the d5 square. If Black can clamp down on the pawn, her positional strengths and threat of exchanges give her the advantage. If not, the threat of the d4-d5 break is ever present, and the isolani can sometimes be sacrificed to unleash the potential of White's pieces, enabling White to whip up a whirlwind attack. Kasparov is famous for the speculative d4-d5 sacrifice. Openings: Primary: Queen's Gambit Declined. Other: Queen's Indian Defense. Themes for White: Line opening advance in the center, kingside attack. Themes for Black: Forcing a pawn advance and blockading the pair, conversion to isolani. Like the isolani, the hanging pawns are a structural weakness and must not be entered into unless the piece position offers some compensation. The play revolves around Black trying to force one of the pawns to advance. If Black can establish a permanent blockade the game is positionally won. On the other hand, White aims to keep the pawns hanging, trying to generate a kingside attack leveraging off of their superior center control. Other themes for White include tactical possibilities and line opening breaks in the center. Openings: Primary: Queen's Gambit Declined. Other: Caro–Kann (colors reversed). Themes for White: Minority attack, e3-e4 break. Themes for Black: e4 outpost, kingside attack. Openings: Primary: Queen's Gambit Declined, Caro–Kann. Other: Alekhine Defense, QGD Tarrasch Defense (colors reversed). Themes for White: Exploiting the dark squares, d6 outpost; queenside majority in the endgame, with an advanced pawn. Themes for Black: e4 outpost, kingside attack, White's overextended pawn, e6-e5 and b7-b5 breaks. Openings: Primary: Dutch Defense. Other: Colle System, English. Character: Closed game, uncomplicated strategy. Themes: Exchanging the bad bishop, e4/e5 outposts, breaks on the c and g files. Players must carefully consider how to recapture on the e4/e5 square, since it alters the symmetric pawn formation and creates strategic subtleties. This structure also appears in one of Botvinnik's treatments of the English. Adding the typical White fianchetto of the king's bishop to this structure provides significant pressure along the long diagonal, and usually prepares the f2-f4-f5 break. Openings: Primary: Closed Sicilian, Closed English (colors reversed). Themes for White: kingside pawn storm, c2-c3 and d3-d4 break. Euwe, Max (1968). The Development of Chess Style. David McKay Company. ISBN 0-679-14045-X. Flores, Mauricio (2015). Chess Structures - a Grandmaster Guide. Quality Chess. ISBN 978-1-78483-000-7. Soltis, Andy (1995). Pawn Structure Chess. McKay. ISBN 0-8129-2529-7. Yudovich, Mikhail (1988). Garri Kasparov. Raduga Publishers. ISBN 5-05-001722-X. Hans Kmoch, Pawn Power in Chess, 1959. 1990 Dover edition: ISBN 0-486-26486-6 (There are other editions). Marović, Dražen (2000). Understanding Pawn Play In Chess. Gambit. ISBN 1-901983-31-5.